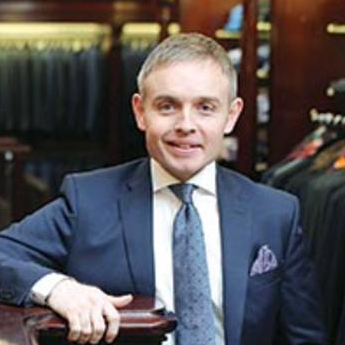 Having worked with Louis Copeland & Sons for over 15 years on multiple projects, it was exciting to be asked to develop the new flagship store design. Working closely with the client we designed a stylish classic retail experience, maximising the heritage and contemporary fashion of this famous brand, increasing the selling space within an existing unit, and driving a significant increase in revenue. Customers spend quite some time in the store and the quality of the clothing is second to none. Consequently the design needs to be particularly detailed, considering a multitude of garments and accessory types, and all requiring display in a suitably attractive and appropriate manner. Flexibility of future layout is vital, and the design is based on a modular system that allows for a significant variety of display mechanisms that can be easily changed. Achieving the right tone and atmosphere reflective of the brand is essential, lighting played a very important part in this, and a detailed layered, lighting design was prepared. Photography Gerry O’Leary. Working with Jennings Design Studio is always a pleasure, we have done many projects with them over the years. This new Louis Copeland & Son flagship menswear store balanced the architectural vision and the project realities beautifully. The blend of their personal style and an understanding of ours led to this beautiful, classic, and stylish store. Hidden suit conveyor system designed into ceiling space.